Discover a country on a meaningful and purposeful vacation. Lend a hand for a few hours each morning, and explore the local culture in the afternoons. Our local staff and comfortable lodging will make your trip enjoyable and unforgettable. All-inclusive pricing covers lodging, drinks, excursions and most meals – hassle free! Connect directly with the Cuban people and discover this unique island before it changes. Experience UNESCO World Heritage Sites throughout Havana, Trinidad, and Cienfuegos. Swim with friendly sea lions, snorkel with sea turtles, watch iguanas bask in the sun and meet wild giant tortoises up close while helping out at a tortoise reserve. Experience one of the world’s most pristine environments. Work with elephants and their caretakers, meet rural island communities, explore bustling markets & relax on the tropical Phi Phi Islands. Discover Corps offers spontaneous, authentic and unforgettable experiences. We know that the most memorable travel moments don’t happen on a giant tour bus – they come through experiencing a new place through the eyes of those who call it home. Our Vacations with Purp ose offer a curated blend of activities that allow you to discover a country through its people. 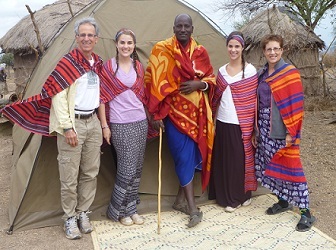 Small Groups: We prioritize keeping our groups small, with the average group made up of about 8-10 like-minded travelers. This allows us to experience things that big tours of people would never be able to, from visits to the studios of celebrated local artisans, to up-close encounters with exotic wildlife. Unparalleled Access: Our Program Hosts aren’t your typical tour guides. They’re local residents who are experts on the area and its customs. Throughout your trip, they’ll share their lives with you, while introducing you to people and taking you to special local places that most travelers would never know existed. Hands-On Cultural Immersion: Our travelers are immersed in local communities through cultural workshops, insightful sightseeing, and sharing meals with local people. Like to cook? Learn to make tortillas alongside a local artisan. You’ll return home with a feel for what life in the community is really like. Distinctive Accommodations: Our accommodations come with a wow factor. No chain hotels or tourist traps in sight – just properties selected for their quality, location and charm. These unique living spaces are curated to enhance your overall experience, whether you’re staying at a rustic scientific research station in the heart of a jungle or a luxurious safari camp in a renowned game preserve.